Welcome to Episode 95 of HubShots! July 2017 – the biggest Grow with HubSpot event they’ve ever held globally, with more than 1000 people attending (ie a ton more probably registered). Highlight for Craig was Brent and Varun’s session on matching context with content. Tips for landing pages, emails and conversion paths. Check out their slide deck from the main page. By the way – love the new Contact (and much more) search box – shows email address as well – it’s the little things! You can set some fields to be shown/required when moving a deal between stages. 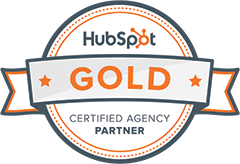 Buying HubSpot, but not taking the time to use it properly. Makes the purchase an expensive mistake, rather than an implemented investment. We’ve both seen cases where a customer buys HubSpot but doesn’t actually do anything eg doesn’t even set up a campaign. But also around using AMP (Accelerated Mobile Pages) Landing pages and pointing your mobile ads at them. The increased speed of the AMP landing pages results in better quality scores, lower click prices, and then better engagement.